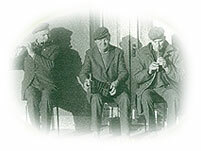 Traditional music sessions in Doolin's pubs and Hotel Doolin. A showcase for the rising local talent of Traditional Music, Set Dancing, Brush Dancing and Sean Nos featuring performances from Damhsoiri na Boirne. The evening will feature performances from a host of local musicians. Russell Cultural Centre, doors open at 7pm, all are welcome. Russell Cultural Centre, doors open at 7pm, all are welcome. Check Facebook & posters for more details. Tickets €25, include a food and wine reception. Available at the Russell Centre. Doors Open from 1.30pm. Anniversary Remembrance Mass at Doolin Church followed by a wreath-laying ceremony at the Russell grave. The Russell Memorial Weekend Committee acknowledges the financial support of Guinness and Clare Arts Office in making the 22nd Russell Memorial Weekend possible. 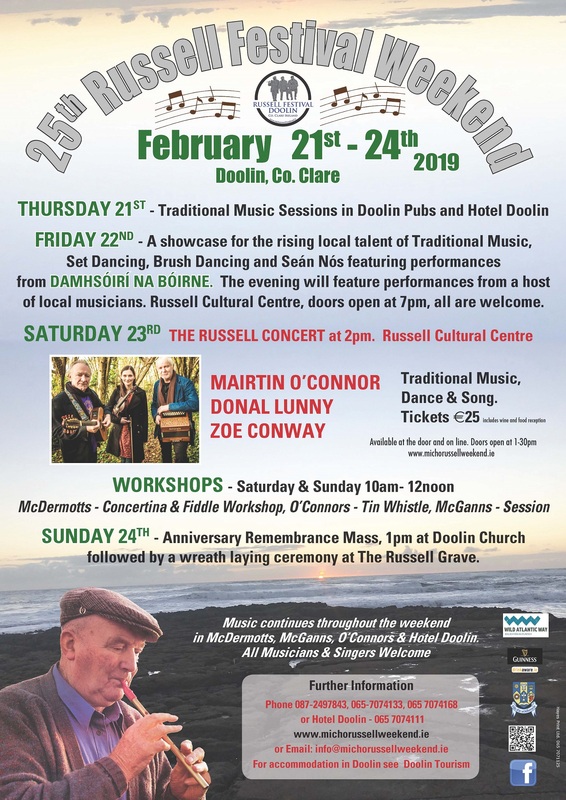 The Russell Memorial Weekend is a traditional festival held in Doolin on the last weekend in February each year. 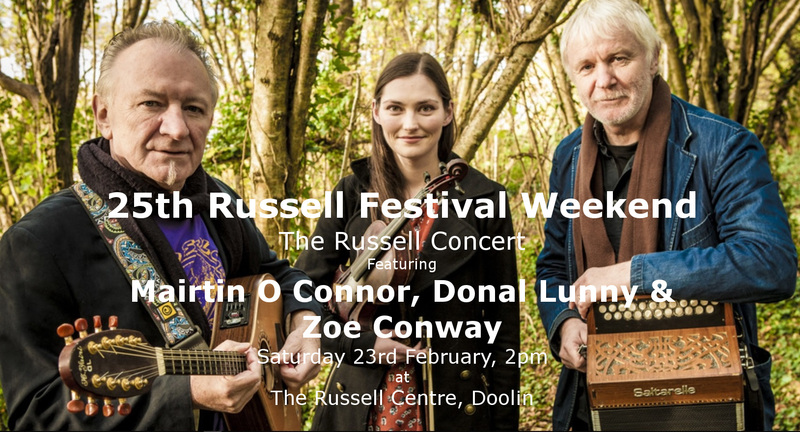 This years concert on Saturday 23rd Feb at 2pm will feature Zoe Conway, Donal Lunny and Mairtin O' Connor in concert. This new group brings together the dazzling talents of three of the country's finest traditional musicians; button accordion master Mairtin O'Connor, fiddle player Zoe Conway and guitar and bouzouki player Donal Lunny. Don't miss this illustrious trio in what promises to be an atmospheric and unforgettable tour, drawing on an eclectic mix of the old and new where traditional tunes and songs meet each of their diverse influences and unique compositional voices. Gussie Russell was born in 1917 and died on May 18, 2004. He lived all his life in Doolin farming the small family holding. Of the three Russell brothers, it can be said of Gussie that his was the life that was least "changed" by the music, though he lived and breathed it as much as his brothers Micho and Packie.